Brendan Rodgers has confirmed that a deal to bring Patrick Roberts back to Celtic remains in the balance. 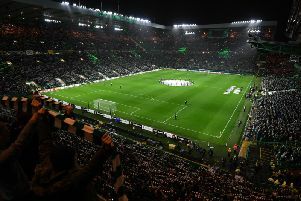 There has been widespread anticipation that the Scottish champions would conclude another season-long loan deal for the Manchester City winger this week but Rodgers has urged caution. Rodgers is seeking reinforcements for his squad ahead of the transfer window closure next Thursday night and expects the capture of South African international defender Rivaldo Coetzee to be completed this weekend. A fee of around £850,000 has been agreed with Ajax Cape Town for the 20-year-old, who will undergo his medical in his homeland under the supervision of Celtic physiotherapist Tim Williamson before he joins his national team for their World Cup qualifiers against Cape Verde next week.